FormFree today announced that VanDyk Mortgage Corporation has selected its flagship AccountChek(R) service for automated asset verification. Loan officers at VanDyk have already begun offering AccountChek as an alternative to manual, paper-based asset verification. In addition, borrowers can choose AccountChek as a faster alternative to uploading bank statements when using VanDyk’s self-service mortgage portal, powered by Ellie Mae’s Encompass Consumer Connect. 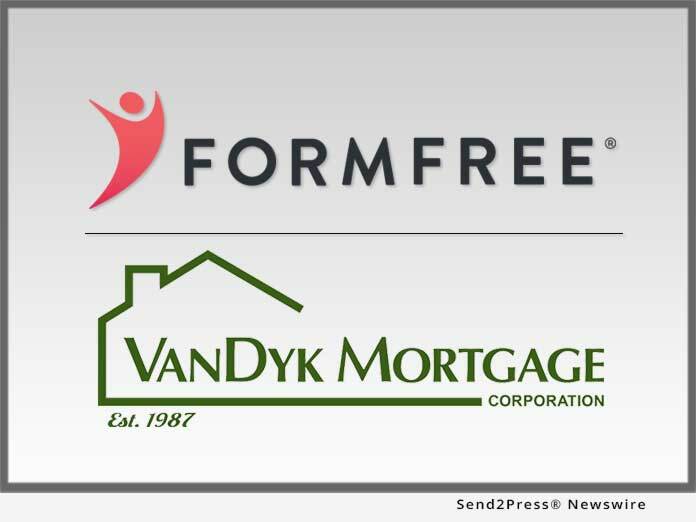 ATHENS, Ga. /Mortgage and Finance News/ — FormFree(R) today announced that VanDyk Mortgage Corporation (VanDyk Mortgage) has selected its flagship AccountChek(R) service for automated asset verification. Loan officers at VanDyk have already begun offering AccountChek as an alternative to manual, paper-based asset verification. In addition, borrowers can choose AccountChek as a faster alternative to uploading bank statements when using VanDyk’s self-service mortgage portal, powered by Ellie Mae(R)’s Encompass Consumer Connect(TM). AccountChek eliminates the hassle of gathering asset documents for loans by letting consumers easily and securely transmit their online banking, retirement and investment account data for automated analysis. In just minutes, AccountChek delivers asset data to lenders in a standardized report along with a ReIssueKey(TM) that enables secure and streamlined sharing with the secondary market. The result is an easier, safer and more accurate process that closes loans up to 15 days faster. VanDyk Mortgage is a Fannie Mae direct lender, a seller and servicer of Freddie Mac and Ginnie Mae loans and an early adopter of Fannie Mae’s landmark Day 1 Certainty(TM) program, which speeds mortgage underwriting and reduces lender risk by providing freedom of representations and warranties on key aspects of the mortage origination process. FormFree was a pilot participant in Day 1 Certainty and the initiative’s earliest approved asset verification provider. Leading lenders trust FormFree’s automated verification solutions to streamline the lending process and provide better intelligence on borrowers’ ability to pay. FormFree’s flagship app, AccountChek(R), eliminates the hassle of gathering asset documents for loans by letting consumers transmit their online banking, retirement and investment account data for automated analysis and standardized delivery to lenders and their investors using FormFree’s secure ReIssueKey(TM). To date, AccountChek has securely placed more than one million asset reports for over 1,000 U.S. lenders. A HousingWire TECH100(TM) company for four consecutive years, FormFree is based in Athens, Georgia. For more information, visit http://www.formfree.com or follow FormFree on LinkedIn. Founded in 1987, VanDyk Mortgage is a nationwide lender with over 475 employees at 92 branch office locations. VanDyk Mortgage is licensed in 38 states, including the District of Columbia. A Fannie Mae-approved direct lender and a seller and servicer of Freddie Mac and Ginnie Mae loans, VanDyk Mortgage also holds direct endorsement (DE) authority to approve FHA/VA loan applications and has a servicing portfolio of over $400 million. The company credits its accomplishments and continued growth to its focus on delivering great service, competitive rates and treating employees and customers with respect, integrity and care.